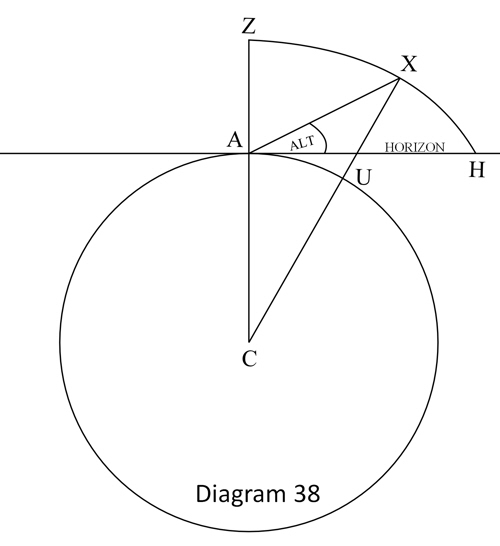 Although it is usual these days to calculate an observed position in astro navigation by using the Rapid Reduction Method, there are other methods which do not necessitate the purchase of expensive reduction tables. 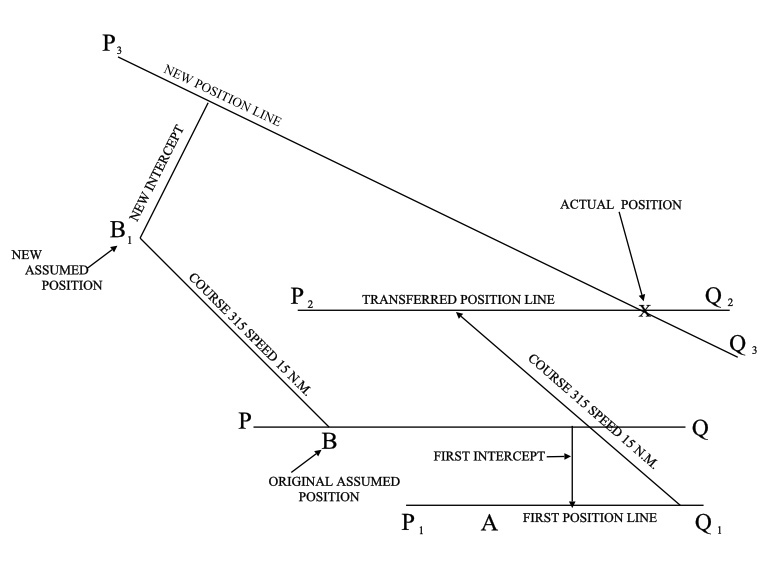 One of these methods is the Intercept Method. 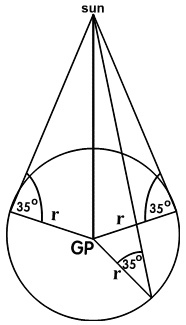 The Intercept method , also known as the Marcq St. Hilaire method after the French Navigator who devised it in 1875, is a method of establishing a fix by measuring the altitude of a celestial body from the true position and comparing this with the calculated altitude at the DR position or the EP. The difference between the two altitudes will be equal to the distance between the two positions and this distance is known as the intercept. The answer is quite simple. We can lay off on the chart, the vessel’s course and distance run over the next hour (say 315o , 15 nautical miles) to establish a new assumed position and from the new assumed position we can calculate a new position line. At the same time, we can transfer the first position line over the course and distance travelled by the vessel in that hour. 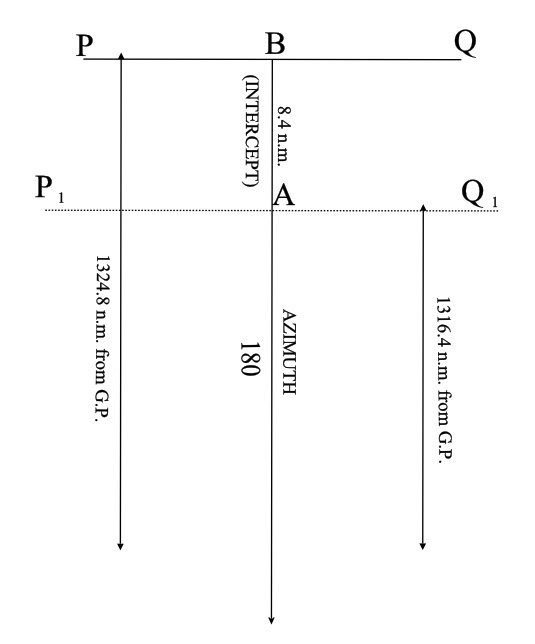 The True Position will be at the point of intersection of the new position line and the transferred position line as shown in the diagram below. This entry was posted in astro navigation, astronomy, celestial navigation and tagged astro navigation, astronomy, celestial navigation, navigation. Bookmark the permalink.